It is like they never left. 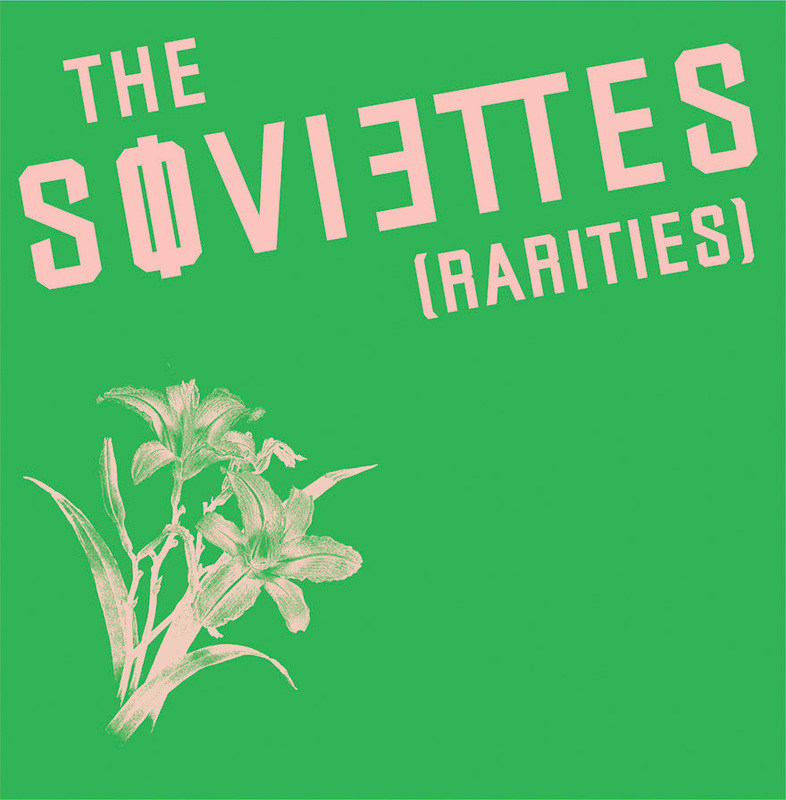 With a new CD (albeit of old material) and shows tonight at Eclipse for the youngsters and Friday for the old folks at the Turf, The Soviettes are storming back into a scene that has dearly missed their barnstorming music. The group is back to celebrate the release of their odds and ends record titled Rarities, which collects music from throughout the bands time together. The songs will sound familiar to fans of the groups body of work, which showed the combined talents of member Annie, Sturgeon, Susy and Danny. In their too short existence, the group released three terse, punk infused albums, simply titled I, II and III. 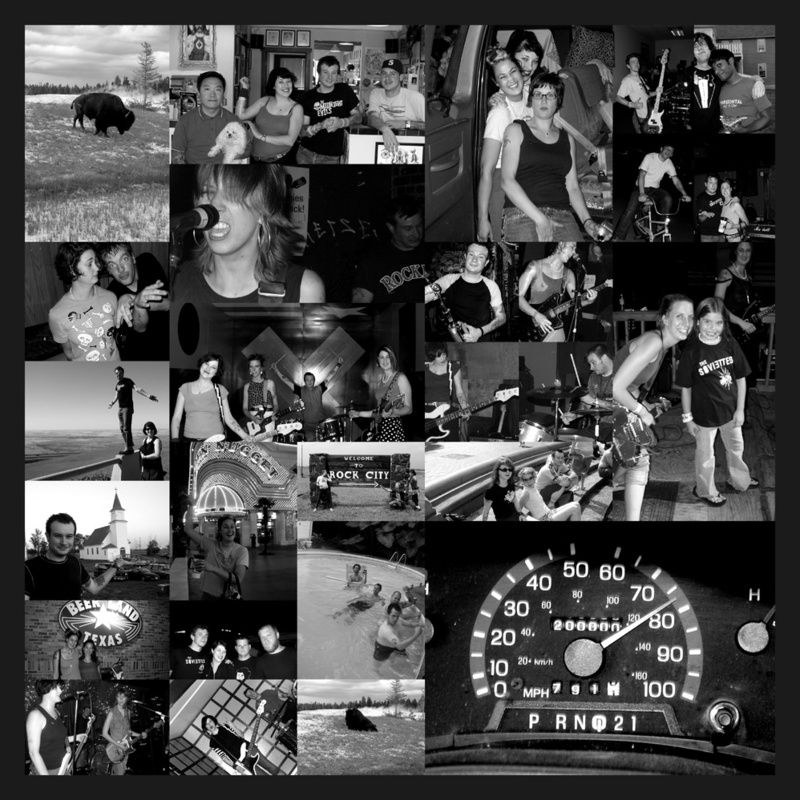 Taking liberally from the time they spent together, Rarities shows off the groups well defined sound spread out over 18 tracks. The guitars slash and attack, the bass and drums push the songs at a breakneck pace, and the singing is deftly handled by all the members of the band. You can hear the sound coalescing as the collection rolls on, with early noise and fractured instruments ceding way to a more confident and refined (but still joyously chaotic) sound near the groups end. The longest song on the collection is the 2:46 “Matt’s Song (Split Version),” which would easily fall into the shortest song category for most bands, but shows this isn’t a band looking for guitar solos and extended codas. The Soviettes always were able to dexterously walk the line that never made them easy to lump with once genre or another. For many of the songs, they employed sweet girl group vocals and disarming harmonies to counter the rough and tumble music the group churned out. This juxtaposition, which the group adhered to with military like discipline and showed great skill at, is one of the reasons that the groups small body of work still sounds so refreshing even after the band has been dormant for multiple years. While the two shows are billed as one offs, one can only hope we will hear more from this great band. Collections of cast-offs and B-sides are generally hit and miss, but for groups like the Soviettes, you can get a good sense of what makes the band great when you hear the fun and exciting music that didn’t make their albums. If you haven’t heard the band before, this is your lucky day. Their rarities album is being offered up for free from Red Sound Records. Once you see how great they are, go out and buy their studio albums. Maybe then we can get them back for good. Shock tactics; From serial-killer video diaries to the latest Ring sequel, there’s something spookily different about the new crop of horror movies. The Evening Standard (London, England) April 7, 2005 Byline: NICK RODDICK OTHER genres may come and go, but horror movies, just like the living dead, keep right on coming. Between mid-March and mid-May there are six of them lurching our way – more than one a week. Even in Hammer’s heyday, we only got a couple of Draculas a year. The good news, though, is that this onslaught is targeting a more sophisticated crowd than usual. That’s the point, says Richards. “It’s like asking, why are you still watching this? If you continue to watch, aren’t you a little bit like the killer?” For Richards, horror movies need the gross-out as much as they need the philosophising. “You’ve got to show the beasts coming from beyond,” agrees John Carpenter, who defined a generation of horror with such classics as Halloween, Christine and The Fog. Showing the beasts comes with a variable price-tag. Richards made his film for [pounds sterling]85,000, a budget that would hardly have covered a single CGI effect in Constantine, currently on release, in which Keanu Reeves sees the whole of hell. But low-budget innovation – such as that displayed in Romero’s original Night of the Living Dead, made for $114,000, or The Blair Witch Project, which cost $50,000 – can often win out over star salaries and specialeffects splurges. Asian horror, too, has a freshness that has allowed it to be unleashed from its niche; it has made inroads into both the specialist world of horror geeks and that of the multiplex. Last weekend’s international box-office champ, The Ring Two, is a big-budget studio sequel to a film which was itself a remake of a Japanese film. Its secret? It retains the essence of true Asian horror and touches a different nerve, says Hamish McAlpine, owner of Tartan Films, a distributor of both movies. “The majority of our audience are people who would never normally watch something with subtitles,” he says. “It’s like in the Sixties, when audiences associated subtitles with sexuality and the kind of thing that was not being catered for by American and British cinema.” Asian horror is to Hollywood horror what ghost stories are to horror comics: more shiver than shock. “In contrast to the spectaclecentred approach of Hollywood films, the Asian ones draw strength from the emotions,” says Kim Jee-Woon, director of Tale of Two Sisters, a super-scary tale which concentrates as much on creating a confused emotional and psychological state as it does on frightening the audience. BUT, most significantly, Wes Craven and Kevin Williamson, the director/writer team who created Scream, have junked all that postmodern, tongue-in-cheek approach for their latest, Cursed, which has Christina Ricci scouring Los Angeles for the werewolf that ate her friend (played by American Pie and Scary Movie’s Shannon Elizabeth). More so than any of this spring’s horror movies, Cursed, which opens on 22 April, reconnects with the enduring sexual undercurrent of the genre – the idea of the ravening sexual beast in each of us, first warnings of which come with all that sprouting hair and changes that puberty brings. New Blind Shake/Michael Yonkers LP out today!